Say Goodbye to Stubborn, Unwanted Fat and Hello to the Body You’ve Always Wanted! If you have unwanted body fat and have thought to undergo a surgical procedure, you are not alone. In our modern lives, we are often pressured into having the perfect body, especially in an area like South Florida where exterior appearance is so valued. 4 out of every 5 adults say they would like to lose fat weight but without the utilization of an invasive fat reduction surgery. Dr. Longwill and her team understand this dilemma and provide a safe, effective way to shed unwanted fat through the FDA cleared CoolSculpting procedure. The team at the Miami Center for Dermatology will guide you through the fat freezing procedure while educating you on noninvasive fat removal, weight loss, and how fat freezing works. The CoolSculpting fat freezing procedure is the only treatment approved by the FDA that freezes stubborn fat cells. Surgery and the unwanted accompanying side effects are a thing of the past, as CoolSculpting takes merely an hour, with no derivative downtime. Fat cells are targeted during the fat freezing procedure and then drain from the body in a completely natural process. You may begin to see results with improved body contours in as little as 6 to 12 weeks, however, this time varies from patient to patient. The procedure has dramatically risen in popularity as a noninvasive therapy that requires no surgery, or injection. Dr. Deborah Longwill of the Miami Center for Dermatology is board certified to perform both medical and cosmetic dermatological procedures. She has served the South Florida community in private practice since 1992 and is one of the few doctors performing the CoolSculpting procedure in Miami. Fat from specifically targeted areas will be marked, and your CoolSculpting specialist will apply a protective gel on the surface of your skin where the areas are to be treated. The fat from these areas is then placed between cooling panels and frozen. After approximately an hour, the cold temperature of the plates crystallizes the fat cells leading to cell death in a natural process called cryolipolysis. During this phase of the CoolSculpting treatment, it is normal to feel an initial period of discomfort as the excess fat is gently vacuumed. After a few minutes, the pressure and numbness will begin to dissipate. Once the fat cells are frozen and removed from the body, they are GONE FOR GOOD. 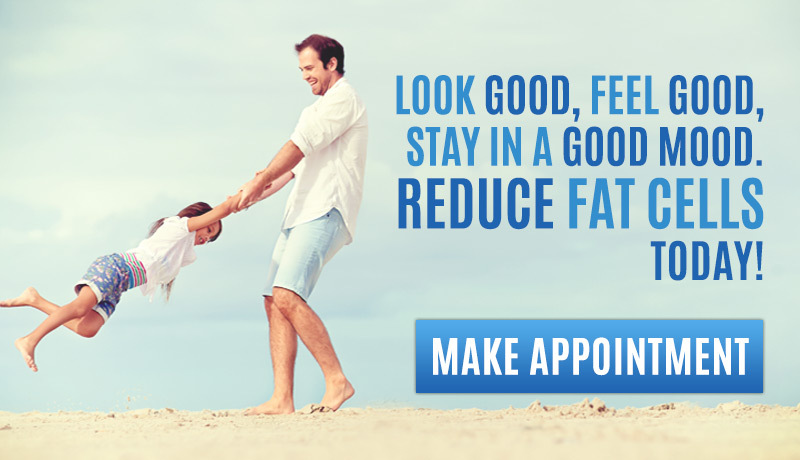 CoolSculpting fat reduction treatment focuses on permanently destroying fat cells. Unlike other fat removal procedures, CoolSculpting is noninvasive fat removal. It reduces fat, destroying the fat cells permanently. The fat cells will be gone forever. While diet and exercise always provide their own benefits, this method reduces fat. During CoolSculpting fat treatments, the unwanted fat is covered with extremely cold cooling plates. Once the fat is frozen, it will crystallize and be discarded. The time needed to complete a single session of CoolSculpting noninvasive fat removal treatment depends on the amount of fat that you like to lose, and the location of treatment. CoolSculpting is an ideal treatment for upper arm fat, love handles, bra fat, abdomen, and flanks, as well as other troublesome areas for losing weight. The CoolSculpting noninvasive fat removal technology uses the science behind the natural process of cryolipolysis. The procedure combines this process with a non-invasive therapy that cools adipose tissue. CoolSculpting targets specific areas of unwanted fat and breaks down fat cells without causing harm to the surface and surrounding tissues. Once the fat cells are removed during cryolipolysis, the thickness of the fat begins to lessen throughout the subsequent months. What happens to the crystallized fat cells? One frozen during the CoolSculpting noninvasive fat removal procedure, fat cells are removed from the body naturally. The cooling panels create an injury situation within the body that leads to cell death and disposal through a natural bodily procedure known as apoptosis. You may ask yourself, “Why can’t I just throw a bag of ice on my stubborn fat?” Freezing fat in this way is not a controlled process. This method can damage surface tissues, whereas the CoolSculpting fat freezing procedure is a safe and effective way to reduce fat cells permanently. Can I have more than one CoolSculpting Procedure? It can be determined if an additional CoolSculpting procedure would be beneficial by a follow-up visit and analyzation of your results. Our specialists will prompt you to schedule an appointment four months after the initial treatment in order to evaluate the progress you have made. The fat cells that are broken down and removed through the CoolSculpting technology do not reappear or grow back. This doesn’t mean that you cannot regain fat weight in these areas again. 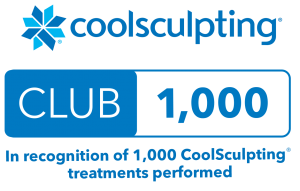 CoolSculpting is best paired with good nutritional eating and a physical fitness regimen. Without self-maintained weight loss centered on diet and exercise, you will gain fat in other regions of your body that can migrate into the previously treated areas. If you have loose skin or are considered an obese individual, it will likely be recommended that you undergo a separate weight loss procedure before beginning CoolSculpting. Since CoolSculpting was cultivated for those with a small amount of stubborn fat to lose, a tummy tuck or light liposuction may be needed for obese individuals before starting CoolSculpting treatment. Liposuction is recommended as an option for patients with thick tissue that cannot be vacuumed by the CoolSculpting head. Once a patient has fully recovered from the supplemental procedures, CoolSculpting noninvasive fat removal can proceed. Recovery time between liposuction and the start of a fat freezing procedure generally lasts for 4 to 6 months. If a patient would like to lose more fat and receive additional contouring in a specific treatment area, additional appointments can be made with the Miami Center for Dermatology at (305) 901-5777, approximately two months after the first session.